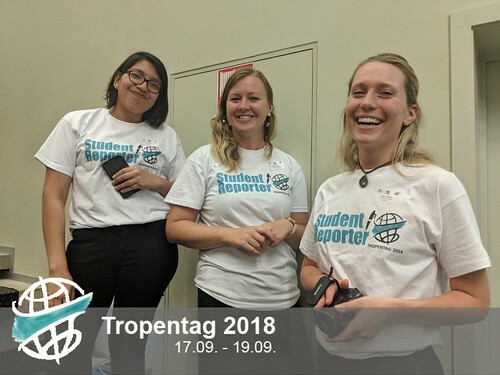 If you're thinking about being a Student Reporter for Tropentag in the future, I really recommend it. Of course it's the 1st day and we're riding on a high of exhaustion, buzz from the energy at the conference and, yes, a buzz from the wine offered at the social gathering. 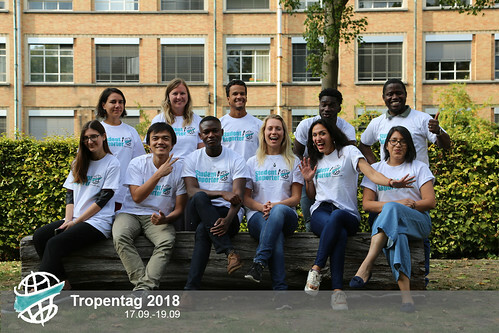 But if the past 3 days are anything to go by, I'd say send off your application ASAP and pack your bags for Tropentag 2019 Kassel-Witzighausen. I don't want to speak to you about the conference, who won what award, or who presented what poster. I want to speak to you about the backstage action in room 057 in Block A. We met for the first time 3 days ago, but it already feels like a lifetime. The great thing about the high standard offered by the Tropentag conference is you can be sure that your reporter team will be motivated, energetic, enthusiastic and supportive. We were clearly selected because of our drive and ability to work as a team. ATSAF lays great value on bringing together young scientists and social scientists on a varied, international background, so you will be challenged by cultural backgrounds you may or may not be familiar with, which will only help you grow. Thrown in to two days of classes - one on journalism skills; the second on social media, coding, and filmmaking - let's not hide the fact that our hours of training were from 9.30 am until 8 pm before the conference had even started. We had to figure out one anothers' personalities very quickly, voice for what we are interested in doing, and homogenise into a functioning team. At the end of the day, you realise quickly that there is a giant task at hand and little time to tackle Goliath so you grab one another and charge. We spoke clearly about who would do what. Who would interview whom. As our supervisor Sarah said, "There won't be time for any disagreements or discussions. You need to agree to things today." So we rush out with our respective equipment - cameras, cell phones, notepads, computers - and thoroughout the day, recongregate in room 057. The room becomes our anchorpoint, as our shirts become a formation of group identity. I feel like we move among the scientific community like a tribe of our own, and room 057 becomes suddenly so precious. What I want to say is that apart from having an amazing time listening to scientists speak about their research; apart from learning these specialist skills which you can apply to your career and put on your CV, you will meet an amazing group of people with whom you will grow, laugh, and learn to support one another in stressful situations. In the end, we have to succeed as a team and there is no time for the ego. While that may be what the scientific community aims to accomplish, as a Student Reporter, you will access that sense of community, and hopefully, carry it with you on your academic journey. So if you are a young scientist, a young social scientist, go for this opportunity. You will wake up early, work hard all day, but you will laugh, learn, and grow.